After more than six months of not being able to dance the tango because of a broken ankle, I’m finally back on the dance floor. A few new milongas have cropped up since my injury, and a few others have closed. 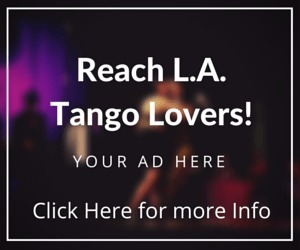 As well, there is a flurry of upcoming activity with the SoCal Tango Championship & Festival in February, fantastic tango instructors and performers in town, and M3 making a special reappearance. Last week Tuesday I went to Tango Mio where two of my favorite tango dancers/performers/teachers Laila and Leandro performed to a standing ovation. The two are technical masters of tango, and super friendly people and teachers. They are currently giving classes in town in the next few weeks. 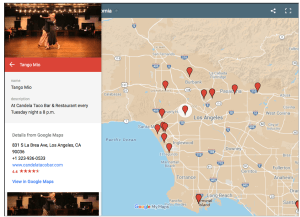 Check out our SoCal Tango Calendar for dates. The video below is from two years ago at Caltech, as I wasn’t able to grab great footage on Tuesday. Tango Mio has grown quite a bit since Robert Le, and an assortment of cohosts have taken over from Linda Valentino several years ago. It was already a popular milonga, but seems to be even more so now. The space at Candela Lounge is spacious and plenty of seating and dance floor space. Guest DJ Derek Tang played an excellent assortment of music. Two other wonderful tango teachers and performers Victor Barrios and Cristina Benavidez from Rosario, Argentina are in town for the month. They are teaching and performing this Thursday at Milonga Abrojito and Saturday at El Encuentro. Victor and Cristina teach at the fame Casa Del Tango in Rosario and were students of the legendary Orlando Paiva. Friday I went to the Caltech Milonga with guest DJ Sabah from San Diego. Again, great music, which always makes for a great milonga, and lovely hosts and dancers. I didn’t get there till 11:30 p.m. but danced until 3! Only one other milonga I know of is open that late, which is, of course, El Encuentro. 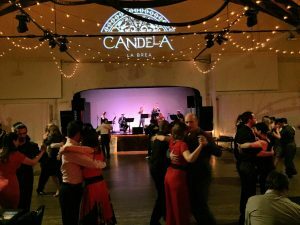 For those who don’t know the milonga, it takes place in Dabney Hall, which has beautiful wood floors and woodwork all around, including on its high-vaulted ceilings. 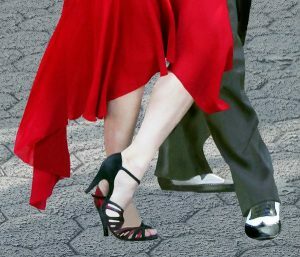 Two newish milongas have events this weekend: Milonga Bombon, hosted by Jerry and Christina on Friday at Soho Dance in LA studio, and Milonga Corazon hosted by Maria Elena, which is at the Just Dance Studio in Studio City. Bombon takes place in spacious dance studio near where the 405 Freeway and 10 Highway connect. Corazon is in a smaller, yet elegant venue. 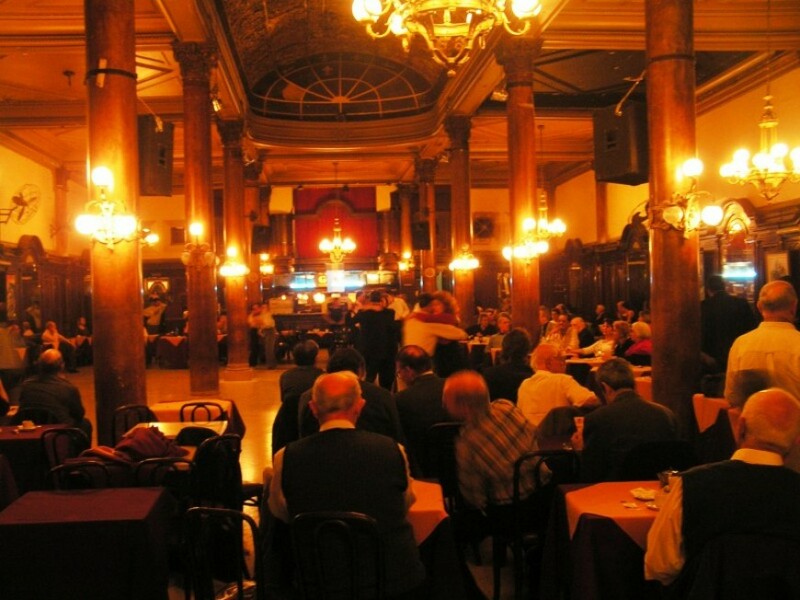 The Sunday milonga is billed as a “tea tango party,” staring at 7:30 pm. with cakes, pastries and other delights available. Last but not least is M3 happening on Sunday as well but earlier in the day. It takes place at Makela’s new studio in Culver City. PS. Stay tuned for the Endless Summer Tango Marathon in May.